The Prince of Darkness looked more like a soaked kitten. Ozzy Osbourne stood center stage dripping wet, covered in foam. Thanks to the fire hose he used to liberally douse both himself and fans in the front half of the floor, Ozzy looked like he’d just fallen into a bathtub. The foam would dissolve, but Ozzy would never dry out. 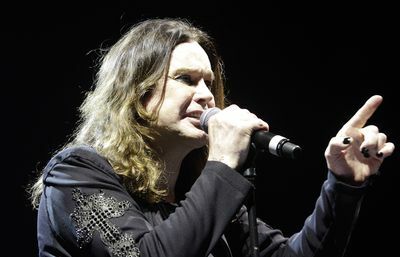 Ostensibly in town to promote a new album, Ozzy performed just one new song. Most of the rest of the setlist could have been written months in advance by a causal fan. But while the songs didn’t hold any surprises, many of the performances were still vital. Experiencing Ozzy perform “Crazy Train” is a classic rock ‘n’ roll moment up there with hearing the Stones do “Jumping Jack Flash” or seeing Pearl Jam perform “Alive.” Despite being more than 40 years old, “War Pigs” still packs a powerful punch. Although some of his solo material hasn’t aged as well, the three-quarters full house still reveled in the night, pumping their fists during solos and singing along. During “The Road to Nowhere” and “Mama, I’m Coming Home” the room lit up with lighters. “Mr. Crowley” was an early highlight. Keyboard player Adam Wakeman, son of Rick Wakeman, turned the room into a giant cathedral with his ominous organ. As he played, a sheet of sparks feel from the rafters behind Ozzy, creating a curtain of fireworks. Although there was a large video screen behind the band for most of the set and plenty of pyrotechnics, Ozzy’s oversized persona was the best visual effect of the night. Waterworks aside, he was constantly in motion, urging the crowd to clap, hopping up and down like a frog or bowing to his audience. During “Fire in the Sky” he writhed his arms and body during the lengthy guitar solo as if performing some Satanic jujitsu. The two-hour set lagged quite a bit toward the end. It would have been difficult to maintain the energy and momentum of the opening numbers, but back-to-back, cliché-ridden guitar and drum solos deflated the show. Everyone would have been better served had the band performed two 45-minute sets with an intermission. Fortunately Ozzy still had plenty of goodies buried in his catalog. “Crazy Train” brought the crowd back to life, while “Mama” and “Paranoid” ensured most of them would show up next time for his inevitable return. For a band so reliant on its guitarist, the mix was atrocious. All the instruments were trapped in a mush under bellowing drums and vocals that sounded like they emanated from a tin-can telephone. Fans may have been better served sonically by asking their next-door neighbor to play “Appetite” at full volume, then retreating to their basement and listening to it from there. Although the sound got better at times, the closing solo during “Paradise City” was practically inaudible. Ozzy setlist: Bark at the Moon; Let Me Hear You Scream; Mr. Crowley; I Don’t Know; Fairies Wear Boots; Suicide Solution; Road to Nowhere; War Pigs; Fire in the Sky; Shot in the Dark; guitar solo > Rat Salad > drum solo; Iron Man; I Don’t Want to Change the World; Crazy Train. Encore: Mama, I’m Coming Home; Paranoid. 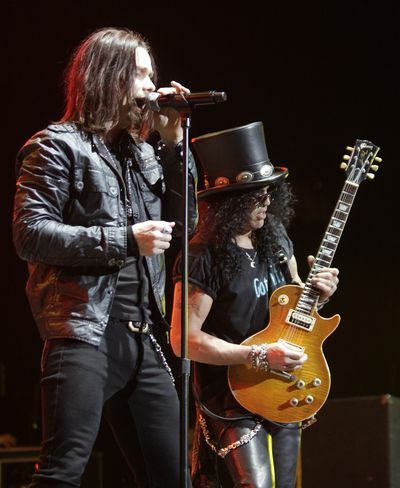 Slash setlist: Ghost; Sucker Train Blues; Mr. Brownstone; Back From Cali; Civil War; Nothing to Say; By the Sword; Nightrain; Sweet Child O’ Mine; Slither; Paradise City.